Although I connect with other people’s hybrid children during my Adama Yai sessions, it’s been a while since one of my own kids introduced him- or herself to me. So I was delighted when a 15-year-old boy priest/shaman showed up in a recent meditation. Naveed appeared to me sitting in a lotus position, glowing both within and without. He said he’s continually sending light to awaken the divine feminine in humanity so we can continue to balance the dualistic energies. 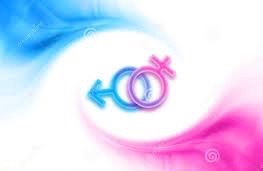 He said, “I send my masculine energy to human females to use, not to become more “masculine” but to offer the assertiveness and confidence still normally associated on Earth as masculine traits. And I send my feminine energy to human males to offer them the opposite qualities. As Naveed spoke, I felt my body split down the middle. My entire left side, from the top of my head to the tips of my toes, felt divorced from my right side. Heavier, as if it were filling up with lead. Since that first interaction, I’ve learned more about Naveed. He’s a Freelancer, the first of mine I’ve met directly. (Most of my kids I know are Sassani or Tolaame-rai-ah.) He lives on a Yahyel ship and has a strong connection to Egyptian goddess Isis. He also connects energetically with Shay, my oldest hybrid daughter. He doesn’t have as high a percentage of my DNA as most of my kids I know, but it turns out that he, like Shay, is also one of my Oversoul counterparts. He chose his name because it sounds Middle Eastern. The light he sends isn’t just for us as individuals but is also designed to help balance the energies in that part of our planet. Needless to say, I’m thrilled to be working with him – for my own growth, for humanity, for Gaia and the cosmic collective. I’m blown away! Last night Luna Tab and I had an exchange on Facebook about my experiences with Naveed. She told me that the name means “bearer of good news” in Farsi, the language of Persia/Iran. Just like Bashar means the same thing in Arabic. He certainly is a bearer of good news – and I’m beyond thrilled to know him! Thank you, Luna Tab!